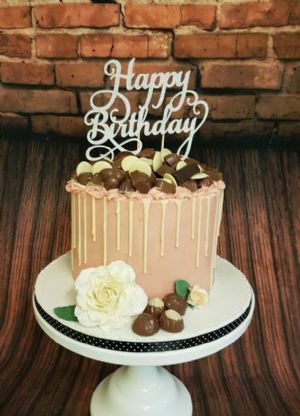 To order your cake its best to do so as early as possible. Late orders are not always possible. We only take a limited amount of orders per week and dates get filled very quickly. 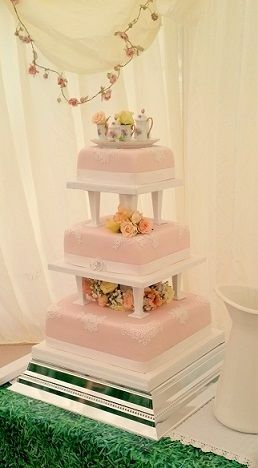 Please contact us for a quote on the type of cake wanted or a few ideas so we can design something special for you. Its a £25 deposit (non refundable) and the balance in cash on delivery. If the order is a surprise gift then balance in full before delivery. A non refundable deposit of £50 to secure your date . The balance will be due 4 weeks before delivery. We also set up when required. If you prefer you are welcome to collect. 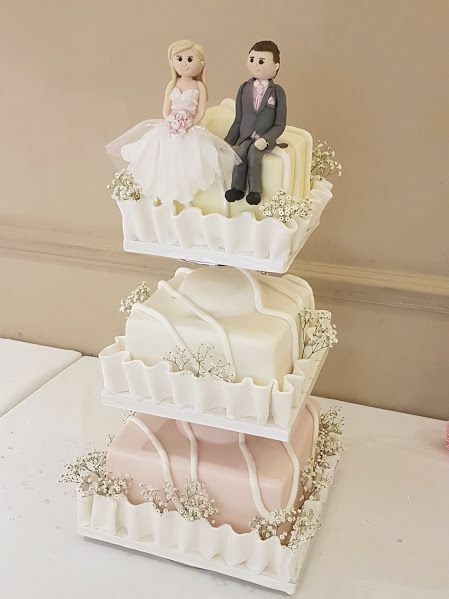 This service is only available to customers who are purchasing our cakes. If you would like to hire a stand we have lots of styles available. 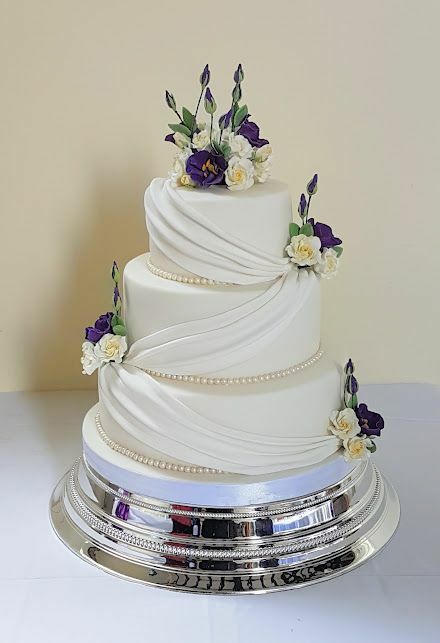 Silver Wedding Cake stands, chrome tier separator stand (as in the 3 tier french fancy cake below) and perspex Cupcake Tower stands. Any damage or parts to be replaced (on cupcake stands) will be deducted. Any damage / chips to ceramic or class stands will result in loss of deposit. Stands must be returned within 7 days of the event. This can be in person or by post.